"Race car Lightning Mcqueen was reported missing." Today's blog post is Skip Ricter, as seen in Cars. He is one of the reporters on "RTV" that reports that Lightning Mcqueen has gone missing (screen shot above). This car is from Mattel and is their signature 1:55 scale size. The version I have is from the "Lenticular Eyes" series but this character was also available in the final lap series with fixed eyes. 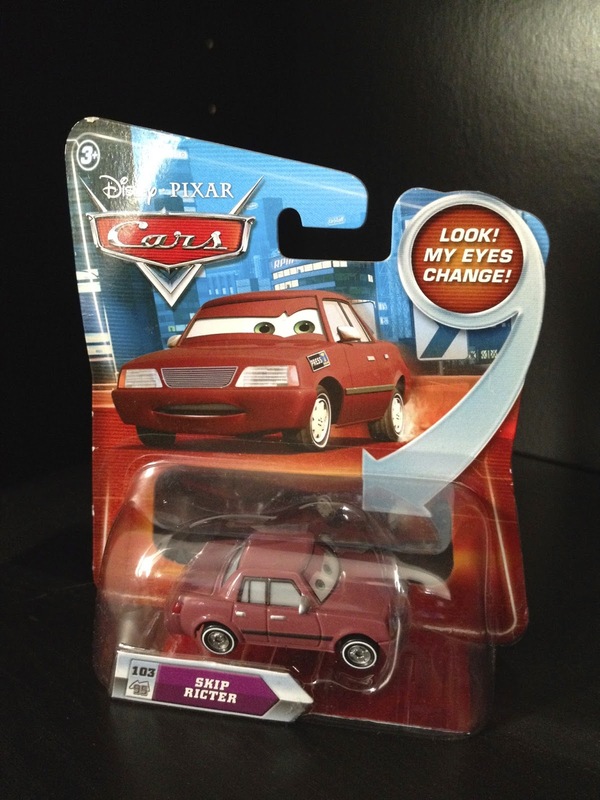 For me personally, it doesn't matter what collection the car comes from, as long as I get the character! "Skip Ricter has been reporting about the race scene for years. After doing volunteer college radio broadcasts of race day action, he got an internship at a local television station. He soon made his mark with the launch of his weekly race recap entitled 'The Race Machine,' which went on to reach syndication in twenty-three markets nationwide"